We are thrilled to announce our upcoming spring show. If you are looking to support your local artists and to find the perfect piece for your home or office, here's your chance! You'll even have an opportunity to vote on your favorite works of art at the Artist's Reception on Friday, May 3rd, so that artists get recognized for the incredible art they create. In order to participate, you must be a member of PHAC. If you are not already a member, click here to join. JOIN PHAC. The Board has made some changes to increase opportunities for artists and to provide more variety for our valued collectors. For the first time, two-dimensional Fiber Arts will be allowed in the the show. The number of note card sets allowed is increased from six to ten. All original art to be hung or submitted as a miniature piece must have been completed in the last two years and cannot have appeared previously in the show. This does not apply to bin art. Art that is turned in late, not checked in or not having the proper hanging hardware (only applies to hanging originals) will not be accepted for display. Here is a YouTube video that provides tips on how to attach hanging hardware. Please review the guidelines prior to applying for the show. We have included the web version of the show postcard for you to share with family and friends who may be interested in attending. Below is also the regular Artist Inventory Sheet and we have included an interactive one. It may not work on all operating systems, but we are hoping to continuing improving the process. Registration open from Friday, April 5th at 6pm to Friday, April 26th at 6pm. The show could not function without our valuable volunteers. If you would like to volunteer your time, click here. 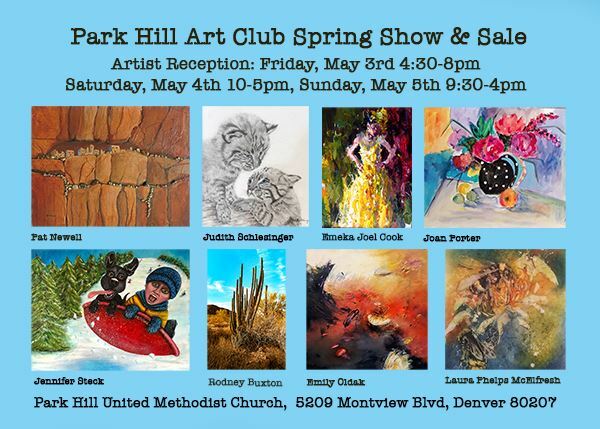 Once you have selected which four pieces will be hung in the show, please go to the Spring Show Label Registration and enter those pieces into the system. This will allow us to create wall labels for your work. This information can be submitted through Monday, April 29th at 6pm.